To map my comeback from a week’s hiatus, I thought we celebrate a woman who is naturally beautiful, fashionable and talented. 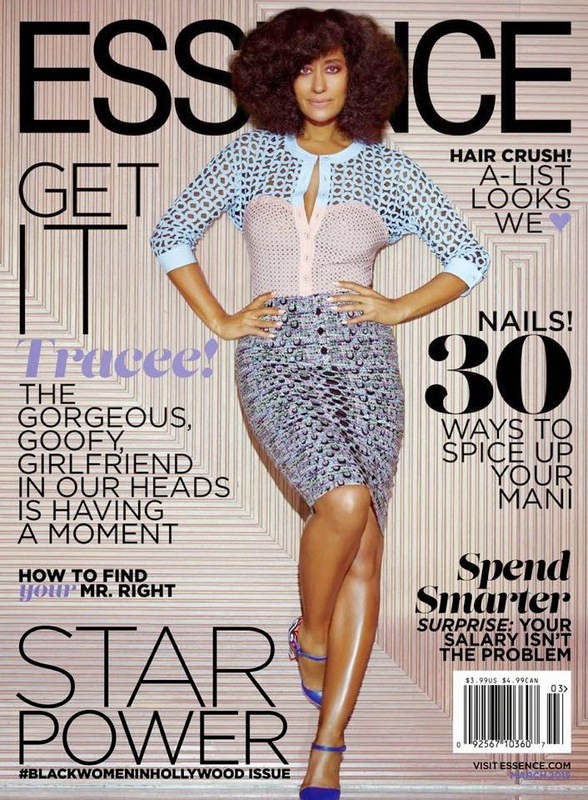 On the covers of their annual Black Women in Hollywood issue, Essence Magazine snatched the star of the successful TV series Black-ish, Tracee Ellis Ross. 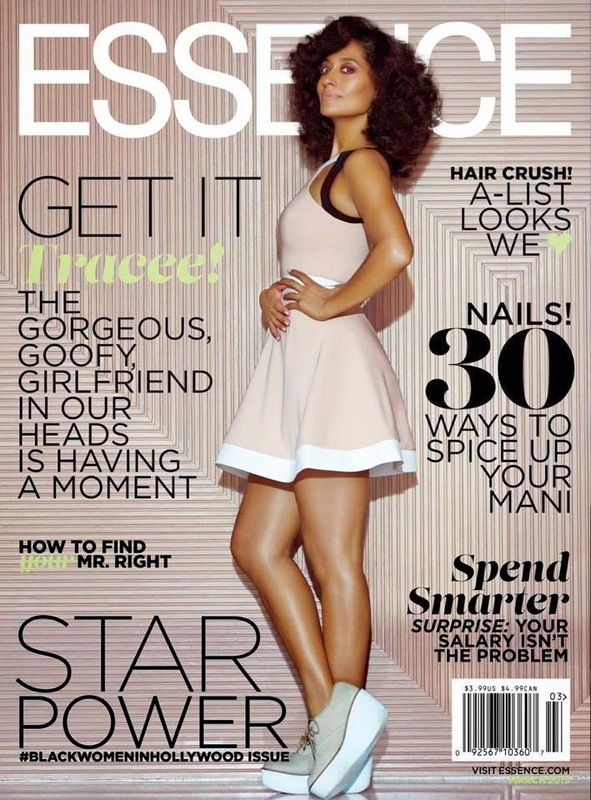 The actress looks gorgeous in a Byron Lars Beauty Mark dress and Sophia Webster shoes on the first cover. – For the second cover, she’s seen rocking a more sporty look in a Jay Godfrey dress and her own shoes. In the mag. 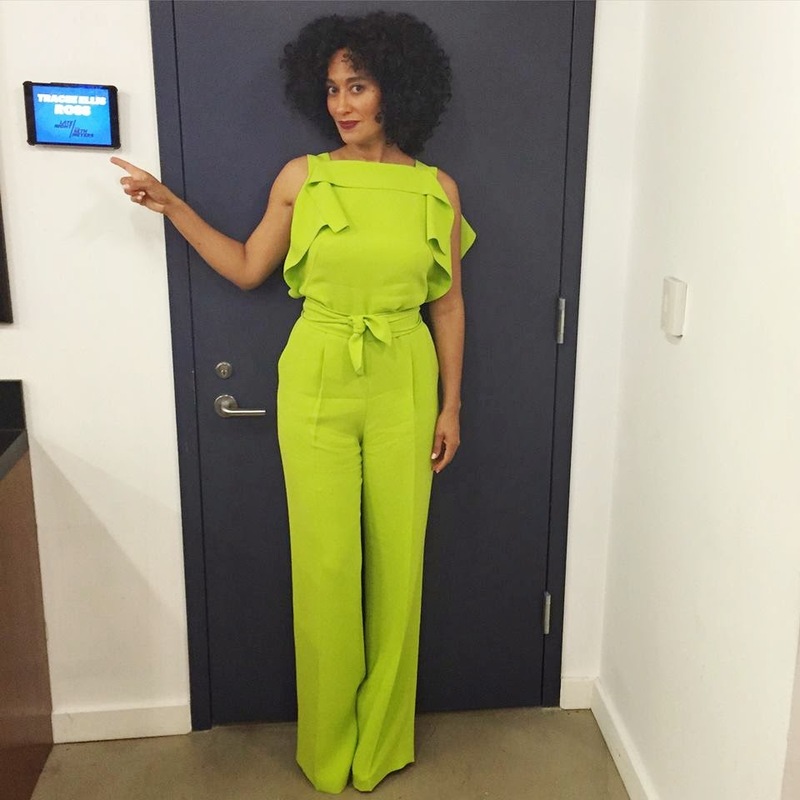 the natural hair beauty dishes about her role in Black-ish, her comedic influences, etc. etc. Below is a look she wore to Late Night with Seth Meyers. This is such a fun, vibrant and great jumpsuit. It compliments her very well.